Welcome, my name is Duncan and I am a DVSA Approved, Grade A Driving Instructor who offers a range of affordable driving lessons in Anniesland, knightswood, Beacon Hill, Partick, Hillhead, West End, Jordanhill, Scotstoun and the rest of Glasgow. I have 40 years experience as a driving instructor, and I been awarded the top level, grade A, by the DVSA. In addtion to this, I have also passed the Cardington special driving test and the IAM and ROSPA advanced driving tests. Remember that you are investing in something that is going to help keep you safe on the road for the rest of your life. The quality of tuition varies as much as the price, choosing the wrong instructor because lessons are cheap may cost you more in the long run, go for quality structured tuition. My aim is to help you pass the theory and practical tests in the shortest time possible, whilst teaching you the skills to become a safe, confident driver for life. To achieve this, all lessons and courses are designed around the individual pupil. All lessons are conducted on a one to one basis and in a patient, friendly and professional manner. For your convenience, I offer a full door to door service, and you always get full paid time of tuition (no short lessons). 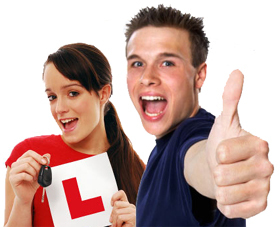 So, for a driving school in Glasgow which offers quality driving lessons at affordable prices, look no further. Please explore the website to see what I have to offer.